This article reviews the literature that pinpoints the efficacy of teaching poetry in language classrooms in general, and in the ESL classroom in particular. The article attempts to address three major points: The first part digs into the reasons why we, as teachers, should care about poetry. What is there special about teaching poetry that prompts us to teach it? The second section aims at dispelling the myth that causes some teachers and students, alike, to feel taken back when they hear the word ‘poetry’ – thinking that poetry is for talented people or for those who study literature. The third and last section provides the pedagogical idea of translingual poem to be practised as in-class activity that can enliven poetry in classrooms. Poetry is an effective tool that encapsulates teaching aspects of language, such as vocab, grammar, etc., in a way that is less anxious, more efficacious and long-lasting. Starz (1995: 61) argued that ‘there are many uses for poetry such as increasing vocabulary, emphasizing the use of verbs and adjectives, learning the rhythm of the language, learning to use tone for emphasis, etc.’. Agreeing with Starz, Vardell et al (2002: 51) wrote that ‘as a genre, poetry offers many benefits for the ESL students. Rhyming poetry, for example, provides the sound qualities helpful for predicting words and phrases’. Writing poetry does not only help students learn sentence structures, rules of grammar, new vocabs, etc., but is also a means for acquiring metalinguistic competence. It is still there in many educational systems around the world where students are instructed to gain acquisition of new vocabulary through the list-technique in which students are given a list of words, or verbs with their conjugations, and are required to ‘memorise’ the new stuff. Lists get longer and longer every day, but this technique is deemed to fail. Words and verbs in English, and probably in many other languages, are not mono in meaning; words and verbs have varied meanings depending on the context of speech or writing. Learning new vocabulary through writing is undoubtedly a meaningful way for it to be long-lasting and to make more sense for students. It could be claimed that even in writing traditional paragraphs and compositions, new vocabulary would also be learned in a context and would be long-lasting as well. While this is true, students do not usually take pride in writing traditional paragraphs as a required fulfillment of their assignments nor do they usually feel creative as much as they feel with writing poetry. Students who write poems do so not so they end up in drawers or trash bins, as they might do with other writing assignments. They might well end up showing them to friends and parents, publishing them in school journals, hanging them on their room wall, or even keeping them in their own diaries. These voluntary extra activities secure the process of retaining the newly learned words in the long-term memory and facilitate the process of retrieval. Nalylor & Wood (2012) argued that poetry has its own power and makes students able to create their own world and their own meanings. Perfect (1999: 728) argued that ‘poetry can help us see differently, understand ourselves and others, and validate our human experience. It … enhances thinking skills, and promotes personal connections … such attributes deserve a closer look’. Hanauer (2012) assured that in every course he taught, he gave his students the opportunity to write poetry, and they came up and thanked him for giving them the chance to ‘say what they, in many cases, have not been able to say before, even in their first language’ (p6). Writing poetry is not only a big thing for learners but for teachers alike. Teachers can become motivated when they negotiate students’ poems or use them as sources and teaching materials. Relearning poetry is similar to returning to the nature of our culture and innate preferences, not only in language classes, but in other classes as well. Poetry can be a beneficial tool for learning in any subject, not only in English as a second language. Miley (1988) was a sociology professor who reported about his own love of poetry, and most of his fellow sociologists regarded his interest in poetry as a sickness from which they hoped he would soon recover. Miley (1988) insisted that poetry could be of great relevance to sociology and, hence, wrote a paper confidently entitled By its right name: The relevance of poetry for sociology. In medicine, Shapiro & Rucker (2003) found that the communication skills for medical students at their institution declined, and this was a big concern for them. They came up with the conclusion that arts, in general, and poetry, in particular, were found to be a ‘potentially rich method for addressing these concerns’ (p954). In law, Gopen (1984: 333) wrote, ‘poetry is the best preparation for the study of law’ in an article he boldly entitled Rhyme and reason: Why the study of poetry is the best preparation for the study of law. In nursing, Jack’s (2015) study found that poetry is an important tool for nurses to explore their feelings towards nursing practice and to reduce anxiety. If, thus, poetry is important to students of sociology, medicine, nursing and law, then it is an a fortiori conclusion that poetry should be embedded in an ESL classroom. The first poets didn’t come out of a classroom, that poetry began when somebody walked off of a savanna or out of a cave and looked up at the sky with wonder and said, ‘Ahhh.’ That was the first poem. It is not unusual that many students never had a chance to write poetry nor had a teacher – in all their years of formal school in which English is a core subject – who offered the opportunity for them to learn in verse or to encapsulate their emotions, feelings or experiences in verse lines. In the US, for instance, Linaberger (2004: 366) mourned this fact saying that ‘it is sad that many teachers, particularly elementary school teachers, do not approach the teaching of poetry writing at all’. The very few teachers who would value English might read from ‘anthologies now and then, while others focus on reading a particular poet during US National Poetry Month. Seale (2015) argues that although there is an innate connection between humans and poetry, classrooms not only fail to strengthen this connection but also work to de-emphasise the power of poetry and hence break this connection. The question now is, if poetry is so important and beneficial, why then is it neglected in ESL classrooms? Indeed, several researchers have attempted to address this point. Miley (1988) revealed that the problem lies in our belief that poetry is only there for the sake of entertainment and not for serious study. He stated, ‘Most of … us regard fiction, poetry, and music as ways of removing ourselves from the academic routine. We are not inclined to look at them in an analytic way, so it is sometimes a bit difficult to get students to look at poetry or fiction or music as anything but entertainment’ (p176). Students have the belief that poetry is not academic nor can it be used to achieve any academic goal and here lies the problem. On the other hand, many teachers, whose decision it is to either include or exclude teaching poetry in their classes, share the same spurious belief. It is only a limited number of teachers who believe in poetry and develop their own classes without any clear support or help from the institution they are working for (Sullivan, 2005). Even those few teachers that have an interest in poetry develop their own approaches to poetry in classrooms (Miley, 1988). Hanauer (2012: 7) stated that ‘many teachers and students are skeptical of the idea that poetry can be written in the SFL [Systemic Functional Linguistics] classroom’. Hanauer went on to refute this fear by saying that he had been teaching poetry in ESL classes for over seven years, prior to publishing the paper in 2012, and had collected more than a thousand poems written by ESL students, and had not ever seen a single student who complained about his/her inability to write one. Linaberger (2004) wondered why teachers refrain from teaching poetry and asked: What is there about teaching poetry that teachers find to avoid it? He tried to find an answer to this question by asking: Is it the belief that verse has to rhyme? It doesn’t; is it the premise that poetry has to be written in a specific pattern or meter? It doesn’t; or is it the argument that poetry should use fancy words that are not every-day words? It shouldn’t. Linaberger then concluded that ‘many teachers share these misinformed ideas about what makes great poetry and therefore mistakenly assume that teaching children to write poetry is beyond their ability’ (p366). I share the same belief with Linaberger that teachers need to reconsider poetry and look at it differently, especially with the emergence of translingualism. Although ‘teaching poetry can seem a daunting task at times,’ Linaberger (2004: 372) said, ‘the benefits of teaching poetry truly outweigh the difficulty in preparing the lessons’. Although I do not fully agree with Linaberger that teaching writing poetry can be a ‘daunting task’, I agree with Day (2016), Grayson (2016), Lees (2015), Lockwood (2011) and Khatib (2011) who emphasised that finding new approaches to teaching poetry is, indeed, needed, and that it is this conventional belief we hold about writing poetry as a talent-based type of writing that we need to revolutionise. Translingualism – although controversial (read, for example, Matsuda’s  the lure of translingual writing] – is a very beneficial lens to use when it comes to teaching poetry. Translingualism is a fairly recent theory that mainly relies on three principles: a) texts are hybrid, b) difference is the norm (English, hence, should have no standard norm, and no one is native; every speaker owns the language he/she speaks), and c) meaning is a negotiation-based outcome (Canagarajah, 2013; Krall-Lanoue, 2013; Lu & Horner, 2013; Sugiharto, 2015; Yacoub, 2018). What I see important in translingualism, and I do not necessarily agree with all the principles above, is that it offers a prolific environment for learners of English to practise the language without the fear of ‘committing a mistake’ and to negotiate what they wrote instead of teachers merely labellingtheir work as deviations from ‘Standard English’. For the scholars of translingualism, ‘errors’ are not considered as any divergence from Standard English which they prefer to call ‘dominant norm’ (Canagarajah, 2013). Any deviation is hence seen as an ‘identity’ more than an ‘error’. What then the teacher’s job when he/she sees such deviations/differences? Well, according to translingual literature, teachers should negotiate with students what they mean instead of labelling these differences as deviations from the norm and directing the learner to abide by Standard English (Krall-Lanoue, 2013). Is it here all about language ideology? Who owns English? 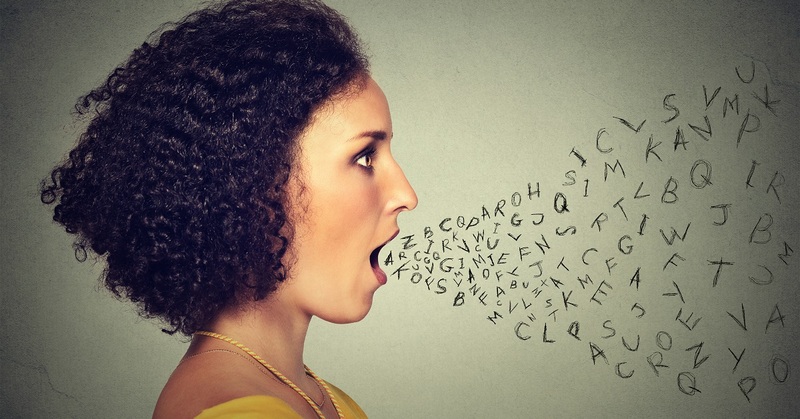 Who has the right to be a native speaker? Who has the right to coin new words without being stigmatised as mistaken? Although the answers to these questions are not the core of my article here, they can at least alleviate the job I am trying to accomplish. Canagarajah S (2017) Translingual practice as spatial repertoires: expanding the paradigm beyond structuralist orientations. Applied Linguistics 1 (25) 1–25. Canagarajah S. (2015) Clarifying the relationship between translingual practice and L2 writing: addressing learner identities. Applied Linguistics Review 6 (4) 415–440. Canagarajah S (Ed.) (2013) Literacy as Translingual Practice: Between Communities and Classrooms. New York: Routledge. Canagarajah S (2006) The place of world Englishes in composition: pluralization continued. College Composition and Communication 57 (4) 586–619. Day T (2016) Teaching Religious Poetry. Use of English 67 (3) 64–70. Gopen G (1984) Rhyme and reason: why the study of poetry is the best preparation for the study of law. College English 46 (4) 333–347. Grayson M (2016) Response to ‘Demystifying Poetry: Teaching A Process to Write Haiku’. Teaching English in the Two-Year College 43 (3) 307–308. Hanauer DI (2012) Meaningful literacy: writing poetry in the language classroom. Language Teaching 45 (1) 105–115. Jack K (2015) The use of poetry writing in nurse education: an evaluation. Nurse Education Today 35 (9) E7–E10. Jain R (2014) Global Englishes, translinguistic identities, and translingual practices in a community college ESL classroom: a practitioner researcher reports. TESOL Journal 5 (3) 490–522. Khatib M (2011) A new approach to teaching English poetry to EFL students. Journal Of Language Teaching & Research 2 (1) 164–169. Krall-Lanoue A (2013) And yes I’m venting, but hey I’m writing isn’t I? : A translingual approach to error in a multilingual context. In S Canagarajah (Ed.) Literacy as Translingual Practice (pp47–56). New York: Routledge. Lees K (2015) The poetry teaching I enjoyed the most. English In Aotearoa (86) 59–60. Linaberger M (2004) Poetry top 10: a foolproof formula for teaching poetry. Reading Teacher 58 (4) 366–372. Lockwood M (2011) Bringing Poetry Alive A Guide to Classroom Practice. London: SAGE Publications. Lu M-Z & Horner B (2013) Translingual literacy, language difference, and matters of agency. College English 75 (6) 582–607. Matsuda P (2014) The Lure of Translingual Writing. PMLA. Publications of the Modern Language Association of America 129 (3) 478–483. Miley JD (1988) By its right name: the relevance of poetry for sociology. Teaching Sociology 16 (2) 173–76. Nalylor A & Wood A (2012) Teaching Poetry: Reading and Responding to Poetry in the Secondary Classroom. Routledge, London and New York. Perfect KA (1999) Rhyme and reason: poetry for the heart and head. The Reading Teacher 52 728–737. Seale T (2015) Why Teach Poetry? English Journal 104 (4) 12–14. Shapiro J & Rucker L (2003) Can poetry make better doctors? Teaching the humanities and arts to medical students and residents at the University of California, Irvine, College of Medicine. Academic Medicine 78 (10) 953–957. Starz M (1995) Communicating through poetry in an ESL classroom. Texas Papers In Foreign Language Education 2 (1). Sugiharto S (2015) Translingualism in action: rendering the impossible possible. Journal of Asia TEFL 12 (2) 125–154. Sullivan AM (2005) Lessons from the Anhinga trail: poetry and teaching. New Directions For Adult & Continuing Education (107) 23–32. Vardell SM, Hadaway NL & Young TA (2002) Choosing and sharing poetry with ESL students. Book Links 11 (5) 51. Van Wyhe T (2006) Remembering What Is Important: The Power of Poetry in My Classroom. English Journal 96 (1) 15–16. Yacoub MA (2018) ‘Yay! I didn’t know that I was a poet’: The efficacy of writing poetry in the ESL classroom and the role of translingualism. Journal of Creative Writing Studies (unpublished yet). Young V (20013) Keep Code Meshing. In Suresh Canagarajah (Ed.) Literacy as Translingual Practice: Between Communities and Classrooms (pp278–286). New York: Routledge. Mohamed Yacoub is a Ph.D. Candidate at the Indiana University of Pennsylvania. He is currently working on his dissertation which investigates the identity of international ESL (English as a second language) students in the US context. He has published on different topics in English language in different scholarly journals such as The Journal of Language, Identity & Education; Studies In Contrastive Grammar; International Journal of Social Science and Humanities Research; and The Qualitative Report. He has English teaching experience in Dalian, China; Riyadh, Saudi Arabia; Cairo, Egypt; Missouri, USA; and now in Pennsylvania, USA.